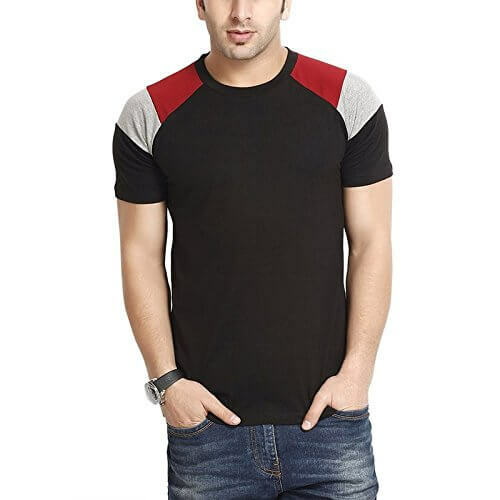 Buy Mens T shirt worth Rs 999 Only at Rs 249 (75% Discount). This T shirt manufactured by Veirdo, which is Multinational Clothing Manufacturing Company. 100% Premium 180 GSM Cotton Bio Wash, Bright Color & Texture To Give You Perfect Comfort, Most Suppliers Sell Promotional Tshirts From 135-140 GSM. Veirdo Provides Best Quality. Discharge Printing: Veirdo Discharge ink is a water based product that deactivates the dyes used on natural fabrics. You have probably seen many shirts with a very soft print that looks like the color of natural cotton - this is discharge printing. Discharge screen printing can be used to print colors on dark garments that in the past would have required an additional layer of white ink in order to achieve proper opacity of top colors. Disclaimer: Images are just for reference. Slight variation in color is possible in the actual product due to lights used in photography or your screen resolution. If you are the first-time user, then click here to register as on doing so and make a purchase of Rs 300+, you will get a Rs 100 gift card from the amazon.